Mumbai, regarded as the city that never sleeps is home to the Bollywood industry and offers the most exquisite places to hang out with your family, friends, girlfriend, boyfriend and the loved ones. Surrounded by the Arabian Sea, it offers a spectacular view as one takes a stroll by the sea. The city presents some of the most refreshing and breathtaking must visit locations from the famous Juhu Beach in the North to the Nariman Point in the South. Here in this article we will have a look at the 10 best places to hangout in Mumbai for families and couples. Located at the Southern-most tip of Mumbai. One of the most desired places to hangout in Mumbai be it with your family, friends or loved ones. The sea is what makes Mumbai so unique. A walk by the sea at the Nariman Point is just what the doctor ordered after a hectic and tiresome day at work. The cool breeze and the churning of the waves refreshes the mood, pacifies the emotions and releases all the tensions that we were burdened with throughout the day. Nariman Point is mostly crowded during the evening hours. Early morning if one goes it is mostly occupied by joggers or exercise enthusiasts. The Oberoi Hotel, Trident Hotel and Intercontinental Hotel are a few of the best hotels located at and around the Nariman Point. Just a few kilometres walk away from Nariman Point. A beautiful location to witness the rising sun early morning and the setting sun in the evening as one walks or sits by the sea. The place is lit-up beautifully and looks exquisite during the evening and night hours. One could take a walk from the Marine Drive to the Nariman Point towards the south. As one moves towards the north of the Marine Drive, there’s the famous Chowpatty beach, a must visit for food lovers. Walking by the sea shore with pebbles and cool sea waves touching the feet, watching the sun rise and set into the ocean, resting on the side sitting area feeling the cool breeze, eating street foods like bhel-puri, samosas, kulfi or chaat is one of the few things one does as one gets here and sharing this joy with your family, friends and loved one is what makes the relationship strong and going. The Gateway of India is the majestic historical monument built in 1924, located in the Colaba district towards the south of Mumbai. It is surrounded by the Arabian Sea and is one of the most spectacular must-visit locations in Mumbai. 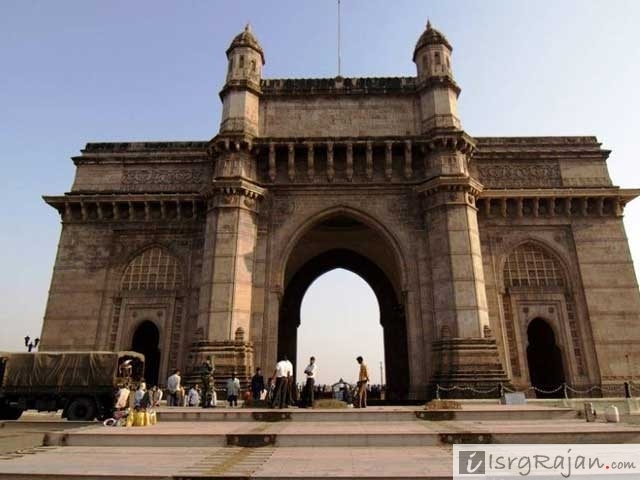 It is the main tourist attraction in Mumbai particularly for those who arrive in the city for the first time. It is one of the favorite spots for tourist, vendors, photographers and artists. One must visit it during the night when it is lit up beautifully with coloured lights and looks magnificent. It is the prime spot from where one could take a ferry ride to the famous Elephanta Caves. Elephanta caves are located in the Elephanta Island on the east coast of Mumbai. These caves are a UNESCO World Heritage Site. With beautifully carved sculptural pieces these caves are a must visit site for family, friends and couples. These exquisite rock-cut architectural pieces include Hindu, Buddhist and Jain carvings rested in a harmonious setting. The site is open 6 days a week and closed on Mondays. The peak visiting months are usually from June to August. There are eating outlets as well for tourists and a small village too where one could make a visit after depositing the entry fee. Photography and Video-making is allowed but one has to pay a fee to be eligible. 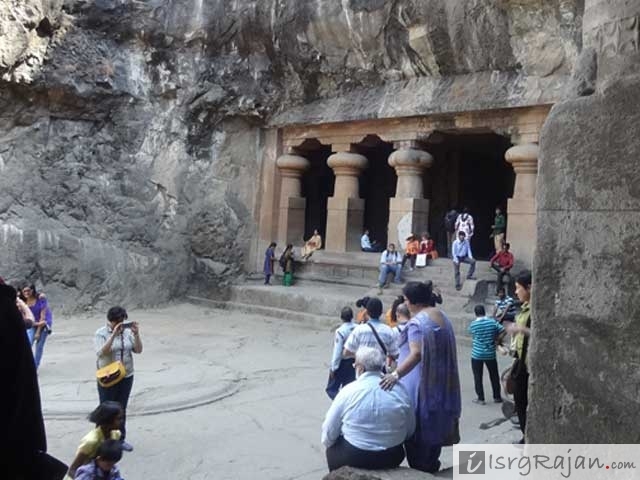 The best way to reach to these caves is to first reach the Gateway of India and then from there one could take a ferry ride which takes about an hour to reach to the site. The ferry rides makes the journey as impressive as the destination, bound to make convert even the local crowd into a tourist. The best time to take the ferry ride to reach the site is in the morning to experience the cool air and the swirling waves as one rides through the sea. Then one could explore the caves during the day time and leave in the evening to experience the sunset while coming back through the waters. 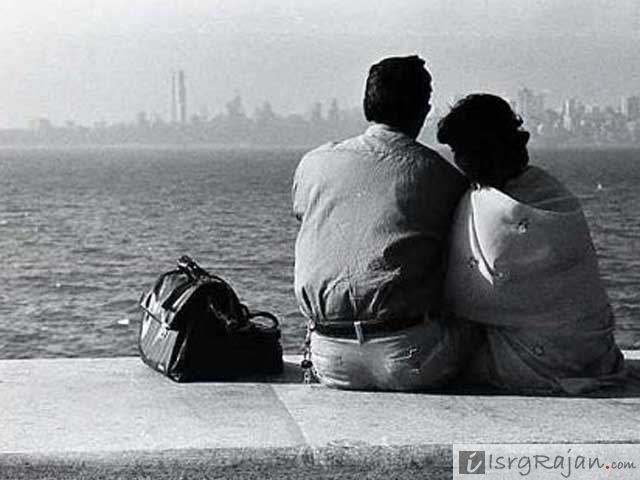 Located in Bandra West this location is often regarded as the “lover’s point” by many. Bandstand is also the home to the most celebrated actors of Bollywood, Shah Rukh Khan and Salman Khan. With its sea facing view and serene atmosphere it is an ideal spot for couples to hangout particularly in the evening. At times it gets crowded as well so not always will one find privacy. One could also visit here to enjoy the sunset and scenic view with cool winds blowing through the hair, having warm tea or coffee and just sitting on the rocks or under the tree shades and enjoying quality time with friends. 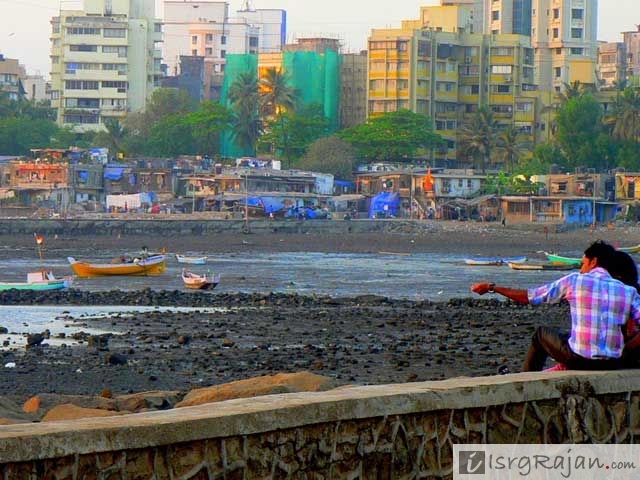 Juhu is one of the most prominent areas in Mumbai in line with Bandra. It is quite a famous tourist attraction all year around with visitors including families, friends and loved ones. The beach is mostly crowded in the evenings, weekends or during festivals. It also has a food court where food lovers can find street food like bhel-puri, pani-puri, kulfi, chaat and samosa to name a few. There are activities going on through the day on the beach like cricket matches, jogging, yoga, cycling, dance performances by monkeys to please the crowd then there are also vendors selling toys or other products that could help them earn for a living. 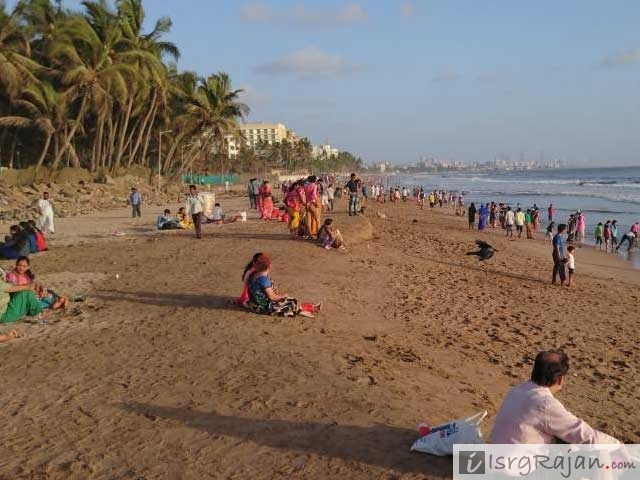 This beach gets its most exquisite look during the Ganesh Chaturthi celebrations held annually in Mumbai when devotees in large numbers carry the beautiful and elaborately decorated Ganesha idols of varying sizes to be immersed in the water. One must avoid the beach during the monsoon months as the high tide may affect the individual so one must be careful. Located in the Aarey Milk Colony in Goregaon East, Mumbai. This place is a weekend retreat for families and couples. It’s a feast to the five senses to all fun and nature lovers with gorgeous flowers, humming and chirping of the birds and lush green trees surrounding the individual. 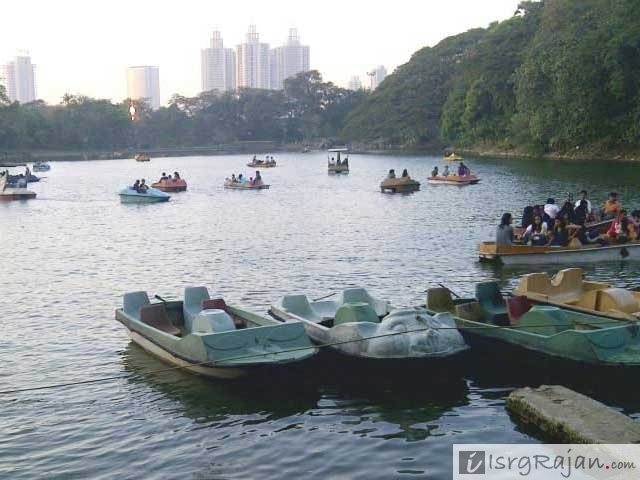 It includes a lake where one could enjoy water based activities like boating at the payment of a minimum fee. The lake is also connected to a serene- green garden where one could enjoy a picnic or a get-together to enjoy the day and lighten the mood away from the worries of the busy workaholic life. It is open on all days between 1100 till 1800 hours. 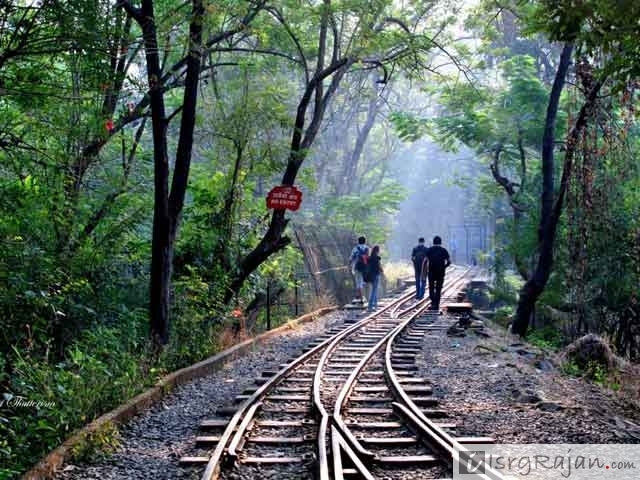 Sanjay Gandhi National Park also known as the Borivali National Park is a large forest area spread over approximately 110 sq. km. This forest is home to a vast variety of insects, reptiles, birds and animals. It is one of those well preserved forest areas of Mumbai where one is surrounded by exotic species packed in a lush green background. This National forest also consists of two lakes i.e. the Tulsi Lake and Vihar Lake. This forest is a must-visit picnic spot for families and friends as well. It holds several key attractions which includes a rich biodiversity, bus safari in which one could spot the magnificent lions and tigers, boating activities, trekking, rock climbing, hikes and even educational trips. Visiting hours for the Boravali National Park are from 0730 hours to 1730 hours. One could also buy special passes for morning walks between 0500 till 0730 hours. 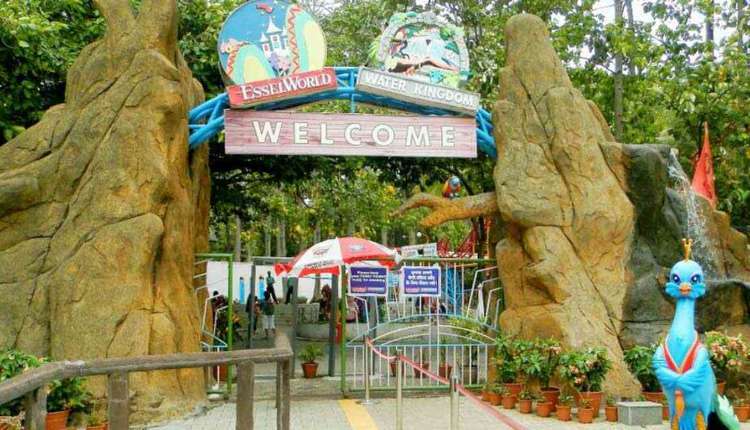 Essel World is an amusement park located in the Gorai locality of Mumbai. This park holds outdoor rides, fun and engaging games and food outlets. 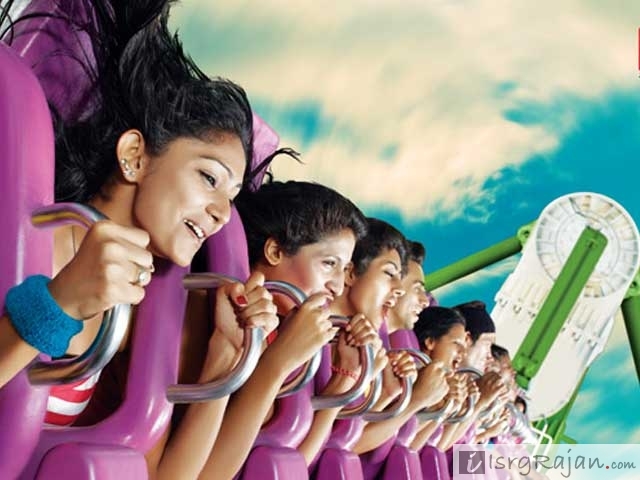 Essel World is one of the largest amusement parks in India. It includes adult rides, exciting rides for youngsters and kids and holds family activities as well. It also includes as well equipped ice skating rink, a bowling alley and a dance floor. Located just near to the Essel World is the Essel Water Kingdom that includes water based rides and activities, for families, adults and young kids. One could visit this amusement park to spend some adventurous and thrilling time with their family and loved ones. Swimwear is a must for visitors to carry with themselves for this the water themed park. Swimwear is also available at decent price range for the visitor in case he needs to purchase one. The visiting timings for these parks are from 1000 till 1900 hours. For families and couples who are art lovers or would like to make an educational trip, this art gallery is a must visit location. It is located in Kala Ghoda, towards the south of Mumbai. 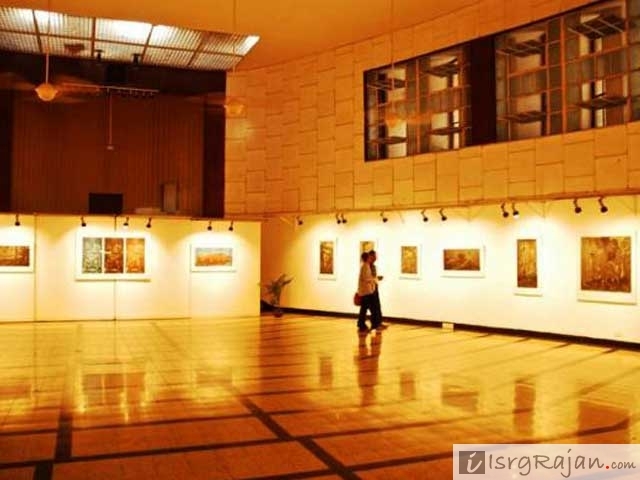 This gallery was built in the year 1952 and since then has attracted crowd of all classes and age groups. It showcases works from the most skilled and renowned artists. For the visitor, this gallery is a visual delight as one is surrounded by masterful artworks set in a sleek and sophisticated backdrop.